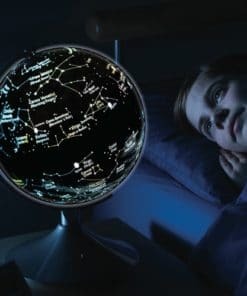 Why buy two globes when you can buy this unique dual functioning 2 in 1 Globe Earth and Constellations. 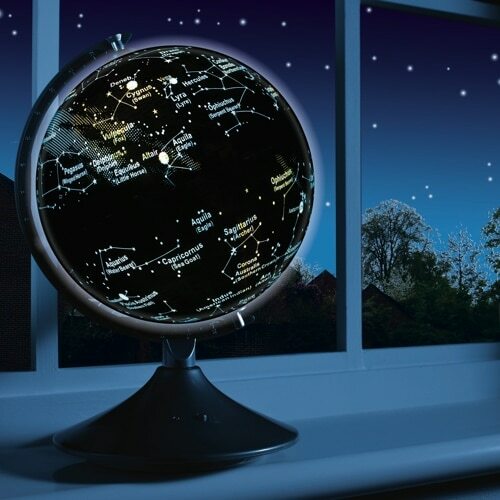 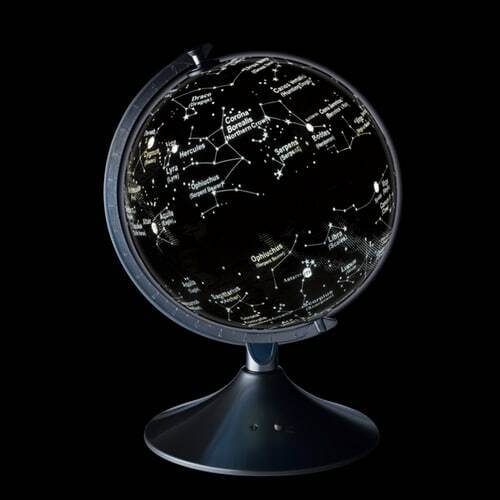 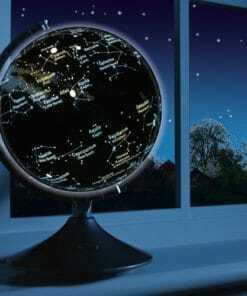 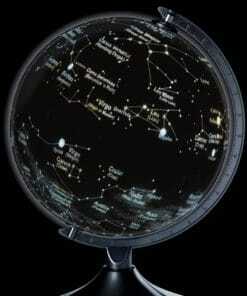 The 2 in 1 Globe Earth and Constellations has a daytime and night- time view and is in fact two globes in one. 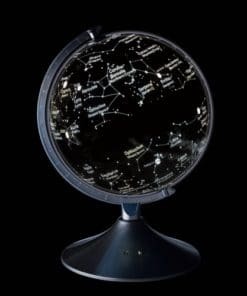 In the daylight the 22.8cm diameter globe shows political boundaries, oceans, equator, longitude and latitude lines, country names, capital cities and other major cities for each country in the world. 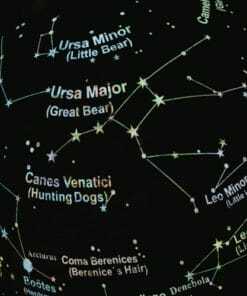 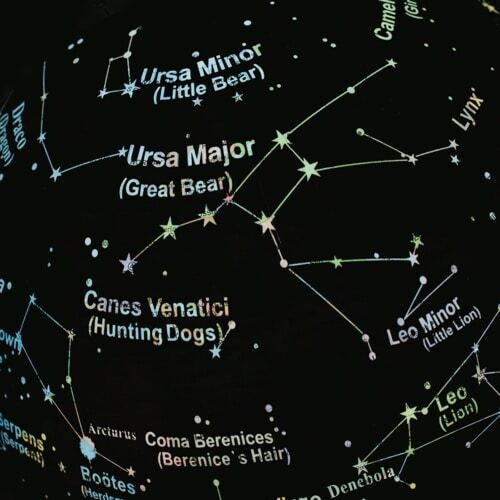 By night the illuminated star map shows constellations with their common names. 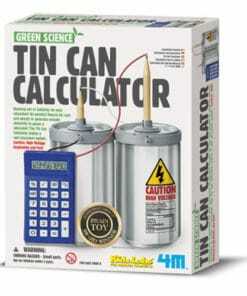 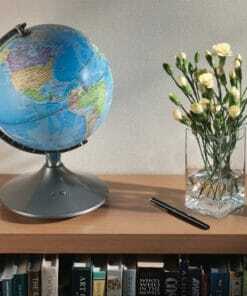 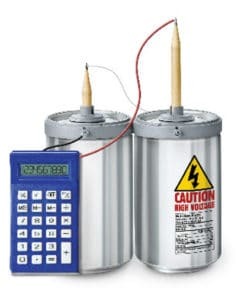 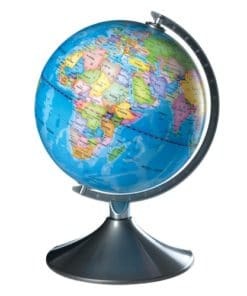 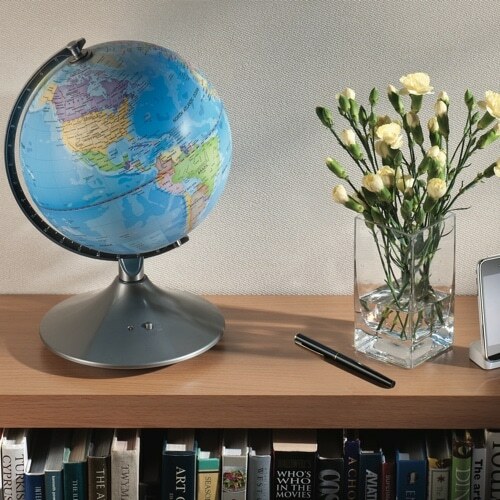 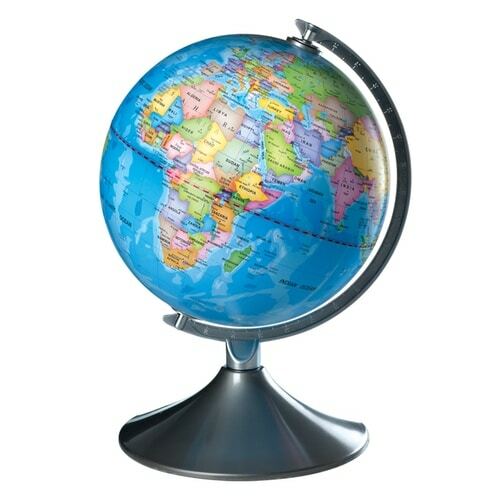 The globe is at a scale of 1:55,900,00 and it sits on a sturdy stylish silver stand with matching graduated meridian. 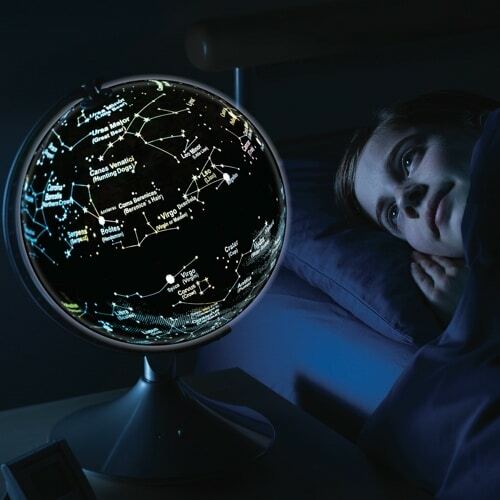 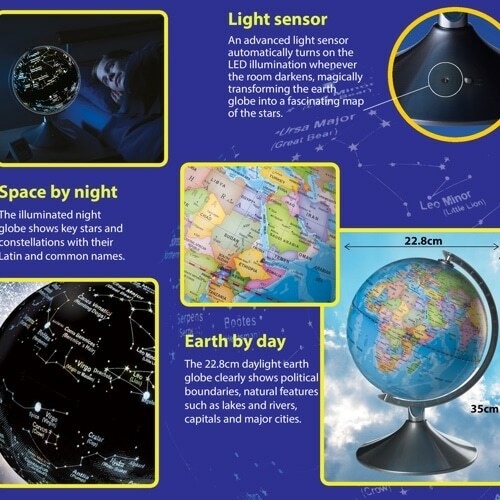 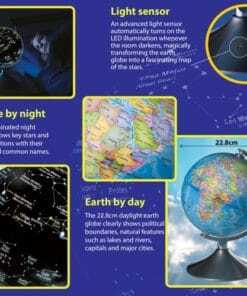 The 2 in 1 Globe Earth and Constellations is a great learning tool for geographers and astronomers but also a great feature for any bedroom, living room or study. 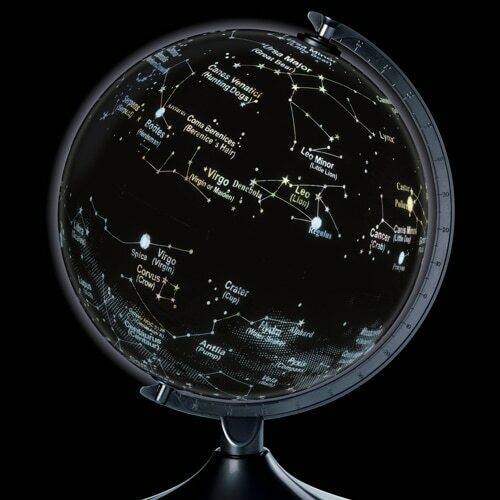 A truly unique globe.